28.02.2015. Stoke, England. Barclays Premier League. Stoke City versus Hull City. 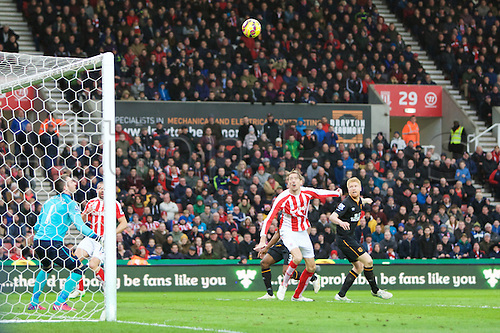 Sub Stoke City forward Peter Crouch scores the opening goal goal.